In the unfolding drama of Scripture, the story begins in a garden and ultimately ends in a city. Sin entered the world distorting God’s good creation leaving mankind in desperate need of redemption. Jesus Christ is that redemption, making all things new by his Spirit which dwells in the hearts of his people. The Kingdom of God has already come – King Jesus has inaugurated it – but it is not yet consummated. The tension between the already and the not yet is the reign of Christ who is conquering the sin and disbelief in the hearts and actions of his people. New City Church is not about bringing something new to the City of Lawrenceville but about discovering how Jesus is already making all things new through the lives of his people. 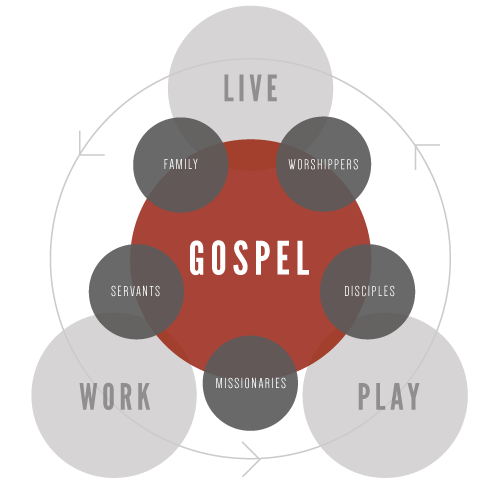 THE VISION IS TO LIVE AS THE FAMILY OF GOD TOGETHER PROCLAIMING AND DEMONSTRATING THE GOSPEL OF GRACE TO ONE ANOTHER AND OUR CITY.